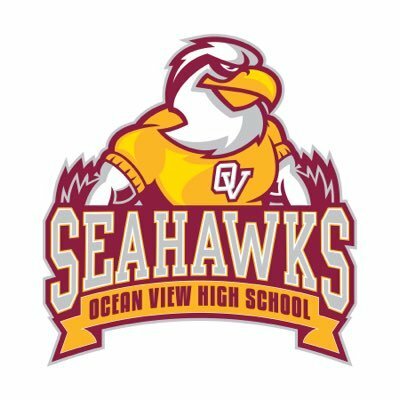 Over the course of the 2016-2017 school year the leadership team at Ocean View High School decided to take a step back and, specifically looking at their student outcomes, evaluate whether or not they were striving toward a holistic definition of student readiness. During their discussion, Ocean View realized what is true in many comprehensive high schools: their instructional practices often differ by department and by teacher. In a world where students increasingly need to make connections and inferences, students instead experience a disjointed set of learning experiences. However, Ocean View also realized that they had an opportunity to develop a systematic approach to instruction that is shared by all members of the school community. To start this work, they needed to identify a universal understanding about the skills that students should have when they leave school ready to be lifelong learners. Ocean View has embraced the International Baccalaureate (IB) Learner Profile as the outcome they want for students, but students needed to better understand how they are gaining these skills and behaviors throughout the school day. What did Ocean View do to address the need? To ensure that they had a holistic definition of the skills students need to be college and career ready, the leadership team picked four of the IB Learner Profile outcomes they want all students to exemplify when graduating from Ocean View. They decided to focus, first, on students becoming Inquirers, Knowledgeable, Reflective, and Open-minded as defined by the IB Learner Profile. To make sure that students and staff are connecting what they are learning and teaching to these student readiness outcomes, the Ocean View staff will start by ensuring students share an understanding of what it looks like when they are demonstrating they have the skills to be Inquirers, Knowledgeable, Reflective, and Open-minded, in all classrooms as well as co- and extracurricular programs. Starting in the summer of 2017, the Ocean View staff will work together to determine how they can structure their classrooms so that students regularly have the opportunities to learn, practice, and display when they are being Inquirers, when they are acting Knowledgeable, and when they are being Reflective and Open-minded. This will begin with staff professional development where staff will develop “look-for” documents that describe possibilities for how students are exemplifying the student readiness outcomes. Thus, allowing staff to explicitly point to where and how students are learning and demonstrating these outcomes. The staff will choose one outcome to focus on in their instructional strategies for the first semester, then focus on another outcome for the second semester. The school leadership will provide continual supports and strategies for how staff can provide opportunities for students to develop the outcomes, including getting feedback from students and staff through surveys and focus groups to monitor students’ progress as they gain these skills.